Oops, I didn’t forget this blog again! I’m not going to make excuses to why I wasn’t able to blog in the past month, though, because really, it’s just going to be the same. I think we’ve (or at least, I) have come to accept that this will be updated when I feel like it, or when there’s a blog tour and all that jazz. Which seems to be a trend nowadays, so let’s sort of not dwell on that anymore. I read 24 books in the first half of 2015, and that’s a little bit halfway through the 52-book goal for the year, not counting a couple that I reread that I didn’t add here. 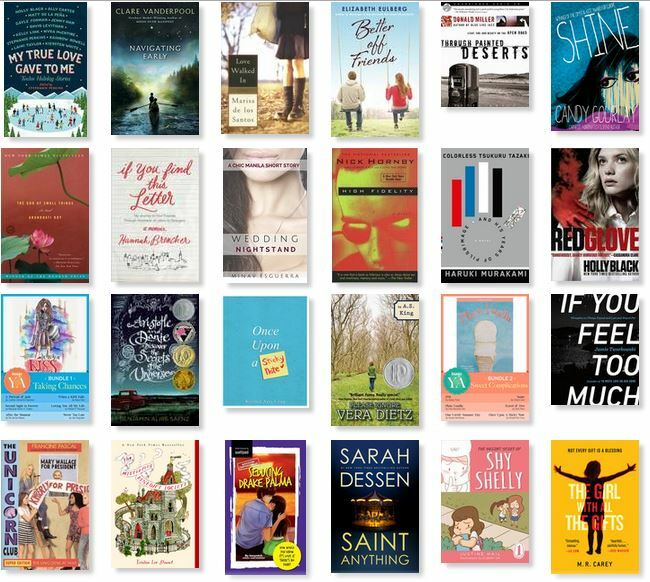 Most of these were 4-star reads, which has sort of become my default rating for books for some reason. Haha. I even managed to finish one dare book, so yay. Best book from this half-year list? It’s a tie between Saint Anything by Sarah Dessen and Colorless Tsukuru Tazaki and His Years of Pilgrimage by Haruki Murakami. They’re very different, but also they somehow evoked the same feel for me as I read them. It’s been going slow ever since July started, though (but it’s really just what, 7 days in, so what do I know). I have been picking books from my shelf every now and then but for some reason they’re not capturing me. I feel like maybe I should be reading this because my book club is reading it, or I should be reading that because it’s supposed to be next. But sometimes you just have to follow your gut, and just read what you want for the time being. Especially when work is being kind of stressful and you don’t want to think and you just want to settle into a good book and just read. So, there. I do think I’ll reach my 52-book goal. But I’m probably going to follow my gut for most of the time and reach for the one that it wants to read. I have a feeling it’ll be time to read another David Mitchell after I finish this St. John Paul II memoir. That sounds about right.